Celeb in 5: Sunday's best entertainment and gossip news. 1. Previously unseen Married at First Sight footage shows Gab and Nasser’s relationship is even more on the rocks than we thought. We have a scandal a foot. 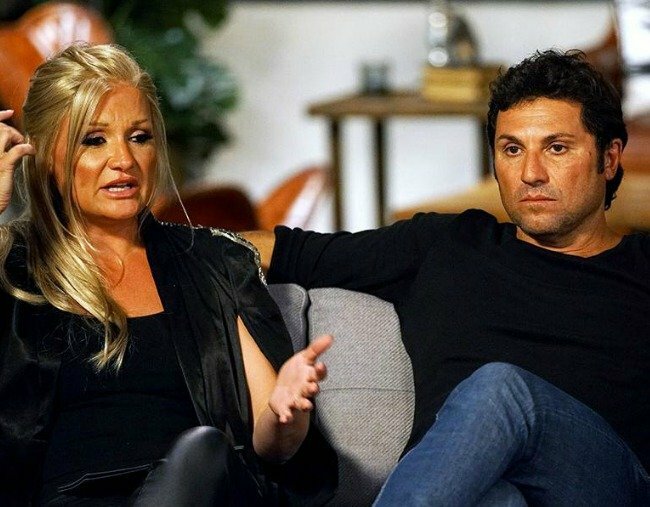 In some previously unseen footage, MAFS’ Nasser has accused his fake-wife Gab of being manipulative. In the footage which was uploaded to the MAFS Twitter account, Nasser says the breakdown of their relationship is not solely his fault. “It’s always men did this and men didn’t give that,” he says. Nasser goes on to say that he hasn’t tried to make the relationship work, but either has Gab. We’ll find out tonight if Gab and Nasser choose to stay together or leave… our money is on leave. 2. The lyrics that have people convinced Beyonce is shading Kim Kardashian. Beyonce may have just thrown some shade at Kim Kardashian. Featuring alongside Jay-Z and Future on DJ Khaled’s new song “Top Off,” Beyonce does a lil’ rap and her lyrics seem a little pointed. First of all, Beyonce is saying she “breaks the internet,” this is possibly a reference to that time Kim “broke the internet” with her Paper Magazine cover. You may remember it, it was a pretty big deal at the time. “Top two and I ain’t number two” is a reference to a Drake song but it’s also a reference to that fact Beyonce thinks she’s number one and Kim is number two… because she is. The final line “My body, my ice, my cash, all real, I’m a triple threat” seems to be a reference to the fact that Kim’s haters often accuse her of being fake and having no real talent. In case you missed it, Beyonce’s and Kim’s relationship has been a bit lukewarm over the last couple of years since Kanye claimed Beyonce refused to perform at the VMAs unless she was guaranteed Video of the Year. And now it’s playing out in rap form. Yippee. 3. Kristen Stewart reunited with her Twilight daughter and omg she’s like a grown woman now. The two played mother and daughter what feels like many moons ago, and have recently been photographed together at a Chanel event looking more like sisters. We’re not sure whether Kristen Stewart has not aged one bit (dare I say… like a vampire? ), or Mackenzie Foy has grown at an inhumanely quick speed. Either way, the pictures make us feel downright old. Since the Twilight films, Mackenzie Foy has made appearances in many a blockbuster film, including Interstellar and the upcoming Disney film, The Nutcracker and the Four Realms. Not only that, but she’s also dabbled a little in realm of the fashion, making her and Stewart’s chance encounter at the Chanel event less surprising, as Stewart’s face has been a popular choice for the brand. 4. Missy Higgins just announced she’s expecting her second child. During her concert last night, after telling the story of how she met her soon-to-be husband, Missy Higgins revealed that she was expecting her second child. “I was sitting in my good friend’s living room on his futon couch, when my soon-to-be husband walked in the room and I was like, ‘hello, who are you?’,” Higgins told the audience while explaining how the story behind her new song, ‘Futon Couch’. “We got chatting and I started going to my friends house very frequently for spontaneous cups of tea, which is a bit creepy now that I think about it. I became bit stalker-ish,” she continued. “But the rest is history and I wanted to write a song that kind of put the day that I met ben into a song so I could play it for our children,” Higgins said. News of your second baby and the release of your new single all in the space of a month? Our hearts can’t handle this, Missy. 5. Julia Morris says what a lot of the Australian audience are thinking about I’m a Celebrity, Get Me Out Of Here. 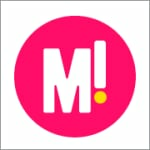 I’m A Celebrity featured two mind readers last week. There was celebrity psychic John Edwards and host Julia Morris, and it’s the latter that was most convincing. Morris said she believed the show had jumped the shark – while literally jumping over a toy shark – in having Edwards on the show. Audiences were in disbelief (and not the good kind) when Edwards told contestant former royal butler Paul Burrell that he’d tapped into the spirit of Princess Diana. It may have been guised as a joke, but Morris certainly hit the nail on the head.